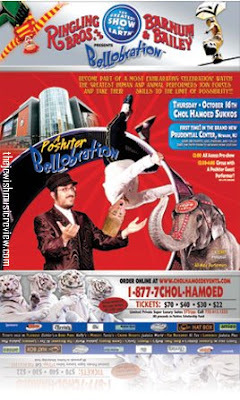 Coming Chol Hamoed Succos will feature an unprecedented, out-of-the-ordinary show starring the Ringling Bros. Since Lipa doesn't sing at mixed-seating events, there will be no live singing at this function. However, Lipa will attend and participate as an entertainer, a performer, and as a class act in a class of his own. Proceeds for this show sponsor one of the greatest tzedakos in Klal Yisroel, so make plans to be there and partake in all the fun and excitement!